If you were flicking through your local newspaper (assuming you've still got one) and came across a full-page ad for a bus company that contained just one line of copy and a logo, what would you think? Would it be a) I know a full page is nearly £2k, so why haven't the muppets filled the rest of that space or b) I know a full page is nearly £2k, so putting a tiny amount on it shows it's one confident brand that must have a great product. From the evidence I've seen, confidence is a rarely seen attribute of bus communication. 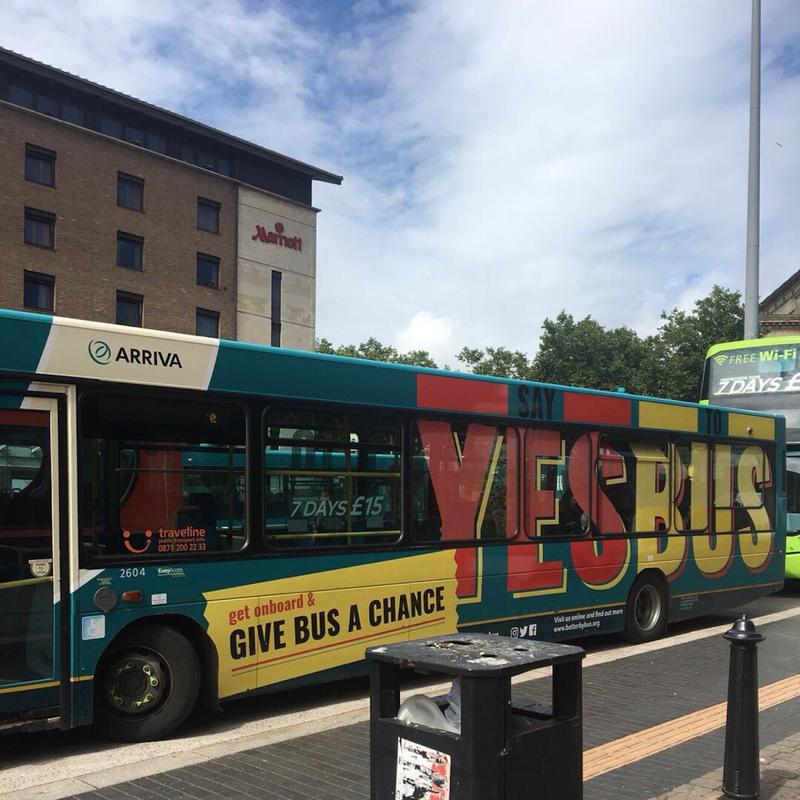 Take the campaign opposite from betterbybus.org - an alliance between Stagecoach, Arriva and Merseytravel to promote the bus. Although the styling isn't to my taste and covering the windows perhaps isn't the smartest move, I feel the 'give bus a chance' message is a little desperate. It's practically begging the consumer to part with their cash - please, please, please if you've got nothing better to do, would you mind hopping on board? It certainly doesn't strut around with its chest puffed out, knowing the customer is in for a treat. Many people have a preconception about bus travel based on their experience some time ago, and this type of language does absolutely nothing to challenge that. If anything, it reaffirms the bus as a last resort choice. Although there's a fine line between selling the bus as the holy grail and selling it as an occasional alternative to your default travel choice, either way, it should be done with a confidence that shows your product is actually quite good. Remember, don't suffocate your full-page ad, puff out that chest and let it breathe.